A pregnant woman was fatally stabbed inside the vestibule of a building on Myrtle Avenue in the early morning hours of Feb. 3, according to authorities. 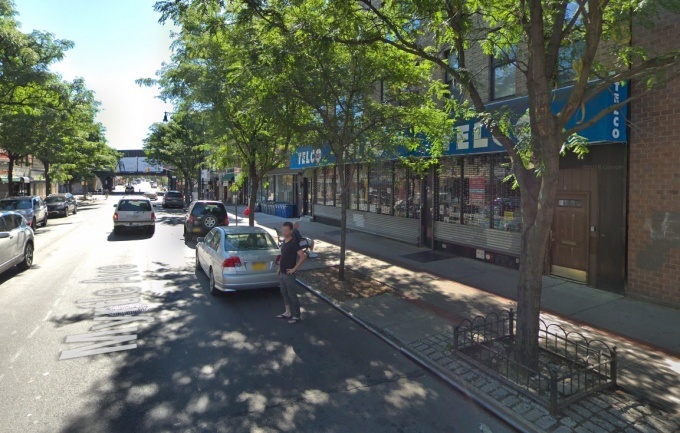 Police say the 35-year-old victim, identified as Jennifer Irigoyen of Rego Park, was stabbed multiple times in the neck and torso inside the vestibule of 60-80 Myrtle Ave. at around 1 a.m. on Sunday. Irigoyen, who was 20 weeks pregnant at the time, was taken to Wyckoff Heights Medical Center where she was pronounced dead. Dermot Shea, NYPD Chief of Detectives, said Irigoyen’s unborn child “tragically” did not survive. There have been no arrests so far in the case, Shea said, although the perpetrator behind the violent stabbing is believed to be known to the victim. “We do not believe this was a random act,” Shea said at a press briefing the day after the incident. He added that the agency has “significant leads” on the case, which remains an active investigation. So the ‘threat’ of paying child support is a valid excuse for murdering someone to you? Maybe the police should question you. We need more patrols around here. I never see them.